Thought a 458 Speciale couldn't get any better? Think again! Does he get a few free laps thrown in too? 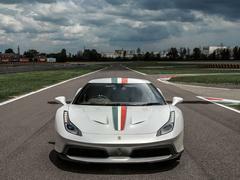 Its latest creation is the 458 MM Speciale, created for a British customer and just driven for the first time today on the Fiorano track. 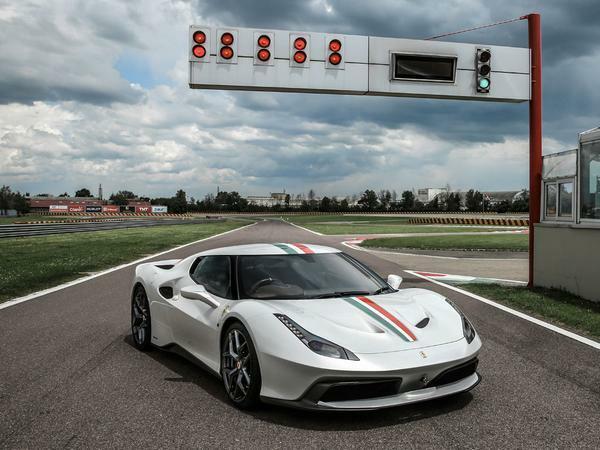 The MM is mechanically identical to a standard Speciale (because who on earth would want to change that? ), but the exterior styling has been significantly overhauled. Apparently the owner wanted "extremely sporty lines", which explains the blacked out A-pillar (like a 288 GTO) and the swept back C-pillar. 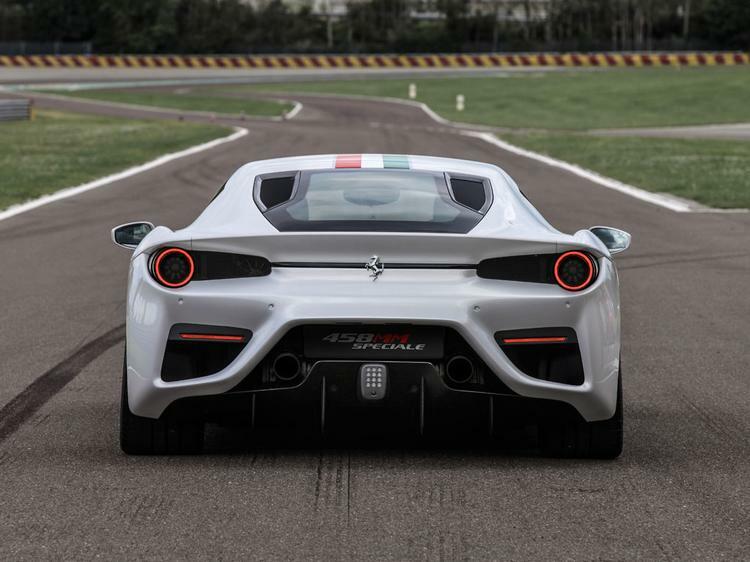 To compensate for the altered design at the back - see the strong hints of 488 and F12 TdF - the side intakes now provide more cooling than a regular Speciale. To be doubly sure, the coolant radiators are "more steeply inclined" and mounted closer together. Ferrari says the bodywork is all new in fact, handcrafted in aluminium apart from the carbon bumpers. 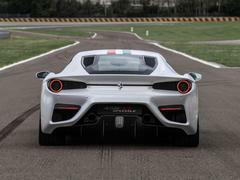 Finally, just in case the release was lacking some Ferrari creativity try this: "The tail features a spoiler which balances the downforce evenly and also completes the theoretical beltline that sweeps back along the side from the front wheelarch, giving the car a powerful and athletic stance." 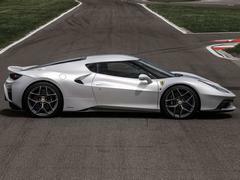 The Bianco Italia MM Speciale will hopefully make its way to the UK in due course, but unsurprisingly there aren't too many details on that from Ferrari. But may we just say very nicely done, British Ferrari fan. What's coming next? Looks like a Lotus Evora to me. There is a hint of Koenigsegg in the windscreen, roof and side on above the window line. Must of cost a pretty penny. Sends his Ferrari back to the factory and they send him back a Ford GT?